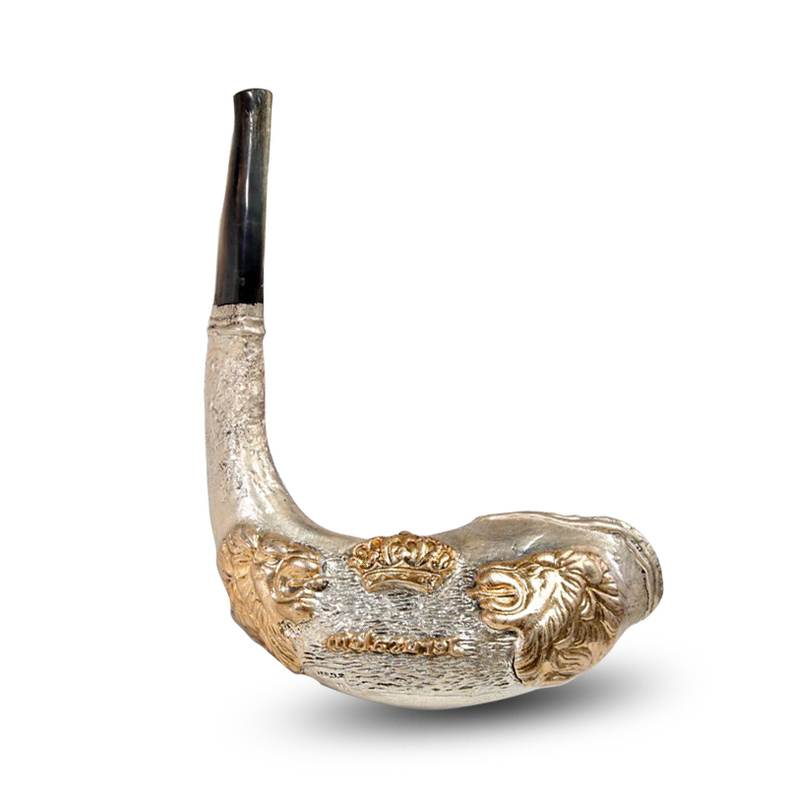 Lions depicted on this silver plated ram's horn shofar have significance as guardians of the Holy City. The stunning silver plated shofar with strong symbolic meaning is definitely worth of becoming part of your Judaica collection, or valuable gift. Shofars are an important ritual item and it is manufactured and decorated for ages according to ancient traditional rules. This ram's horn shofar is the right example of such tradition. It is carefully manufactured and polished from the mouthpiece to the middle part. The rest of its surface is silver plated and ornamented with stunning decorative motif – two lions as guardians of Jerusalem, with golden crown above the Holy City. This distinct Judaica item is characterized by strong symbolism and striking combination of silver and gold. It can be worth ritual object in your own Judaica collection or valuable gift for someone dear. Through the ages shofar had many various roles. Nowadays it is used mostly on Rosh Hashanah and Yom Kippur. 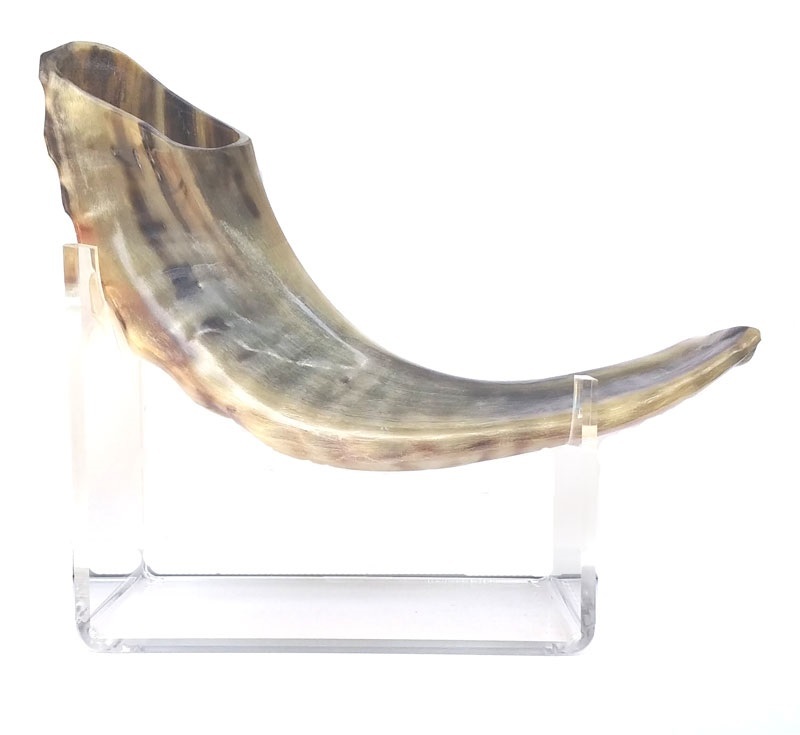 Choose this stunning ram's horn shofar to practice the respectable skill of blowing the shofar on these important moments.